If you're looking for a digital camera that's a step up from your smart phone but just as convenient (and won't break the bank) then check out the Samsung ST150F Smart Camera over at Amazon. It's Wi-Fi enabled so you can instantly connect to a network and share your photos to your mobile, desktop or cloud service, allowing you to lose all those pesky cables. 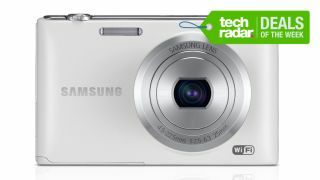 It also has a 5x optical zoom and lets you take 16.2MP pictures - a real bargain at just £62.99. You may want to consider picking up a memory card as well as the internal storage is fairly small, but you can pick one of those up for well under a tenner. And if that's not quite what you're after this week, check out all our other great deals below.